Ideally used where a number of pipework systems are required throughout any size processing facility. Each pipework system is terminated at ground level to which a lorry or trailer mounted vacuum can be connected. Suitable for large processing plants such as cement, biomass or coal fired power installations. Thus providing a cost effective method of cleaning and also returning collected materials to a raw materials intake point. 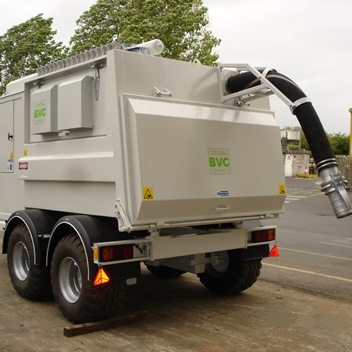 Trailer mounted vacuum plant with primary interceptor skip. 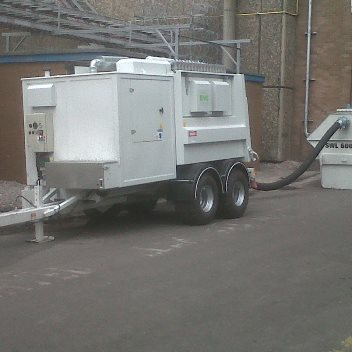 Diesel powered trailer mounted vacuum plant.